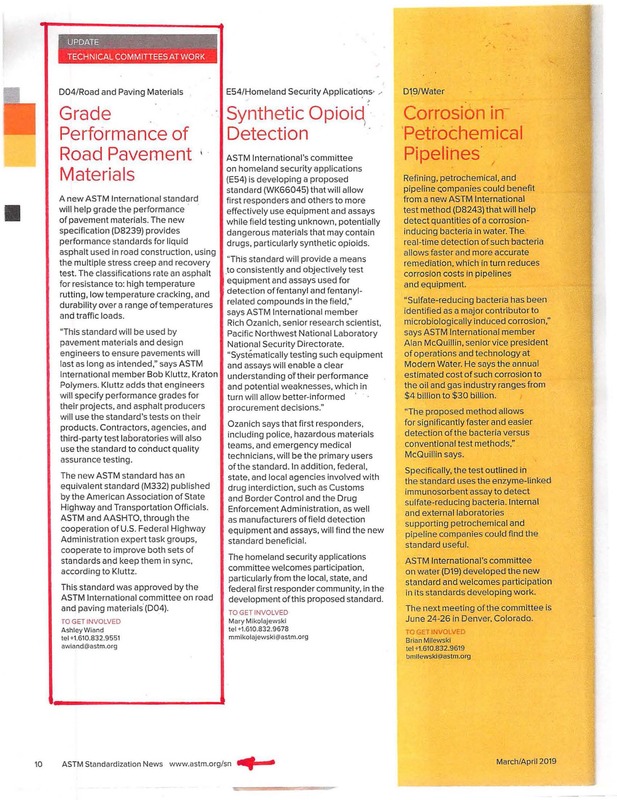 ASTM recently released a new specification (D8239) which provides performance standards for modified liquid binders in road construction using the multiple stress creep and recovery test (MSCR). This new standard has an equivalent standard (M332) by the American Association of State Highway and Transportation Officials (AASTHO). Click here for a PDF file of the excerpt shown below.